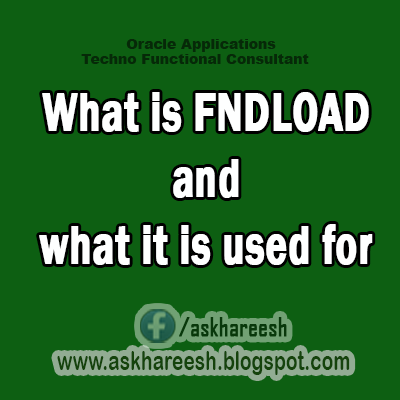 FNDLOAD is a concurrent program that can move Oracle Applications data between database and text file. FNDLOAD can download data from an application entity into an editable text file, which can be uploaded to another database. Conversion between database format and text file format is specified by a configuration file. We use ldt loader data files for loading. Attachments / Help Files. Mime Types Mime Types. Security Information.